What are your problems trying to tell you? I can tell you what they are NOT saying… they are NOT saying STOP, they are NOT saying GIVE UP, and I know for sure they are NOT saying YOU CAN’T HANDLE IT! What if your problems were trying to tell you to KEEP GOING and YOU CAN DO IT, but you’re just going to need to make a few adjustments. What if your problems are just feedback? 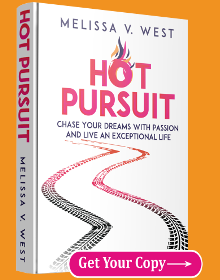 What if the problem is just trying to get your attention so that something could be tweaked and adjusted in your life that would serve you in a great way? Take a look at a problem or a fear you might be dealing with right now. What is it really trying to tell you? Where are the guidelines in the problem? What could you do differently to get new results? Happy Getting the Guideline and NOT the Stop Sign! Remember, nothing happens until you decide to take action! 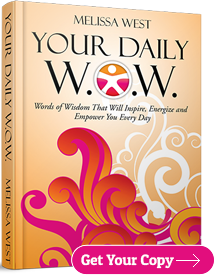 Leave a comment below about how today’s Daily WOW has impacted your life and what inspired action you will take. The A stands for ACTION. What inspired action will you take today? The C stands for CHANGE. What purposeful change will you make today? The T stands for TEACH. What can you teach someone else today? Write it out. Commit to it! Take inspired action, make purposeful changes, and teach what you have come to know with someone else who could benefit from your wisdom!! Nothing happens until you take ACTION! Please share with us what A.C.T.s you took today as well as hear from other readers? I encourage you to leave your experiences/testimonials, comments, and additional thoughts below.